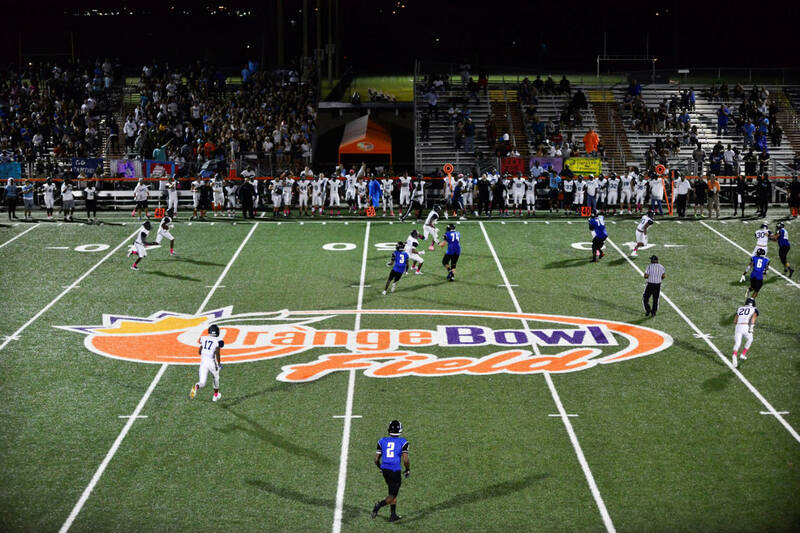 In the fall evenings, high school football takes center stage in Homestead, Florida. The bleachers fill up with fans from several local schools that have been around for a long time alongside newer schools that have popped up more recently. Students line the sidelines alongside old-timers to watch some good old-fashioned gridiron battles under the lights at Orange Bowl Field. 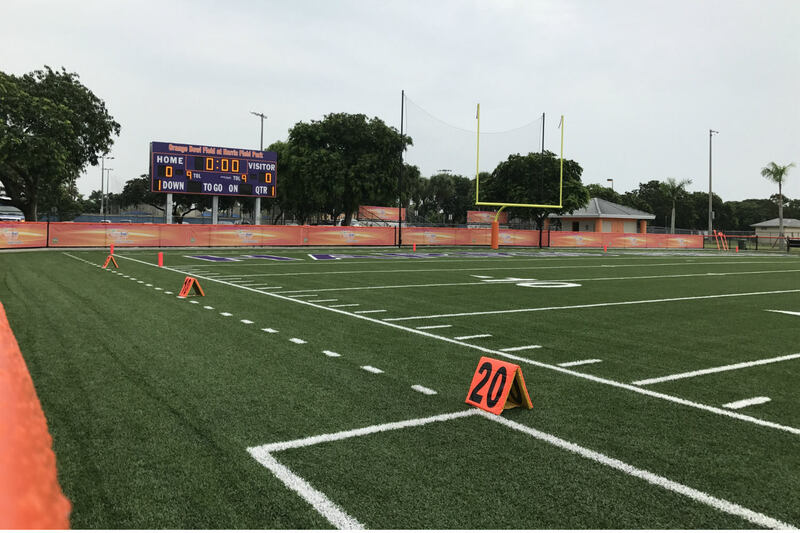 In 2017, the Orange Bowl High School facility committed to a massive renovation of the aging facility as the Orange Bowl committee broke ground on a new field with the support of a $2.1 million contribution. The WSDG team was reached by Groovyland Corp to design the sound system design and systems integration for the field’s rejuvenation. 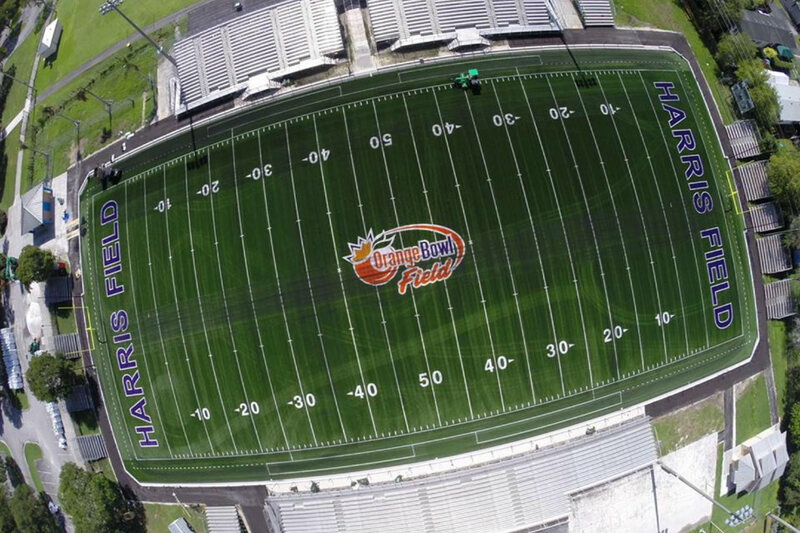 The Orange Bowl Field at Harris Field Park is the Orange Bowl’s fourth Legacy Gift to the South Florida community. 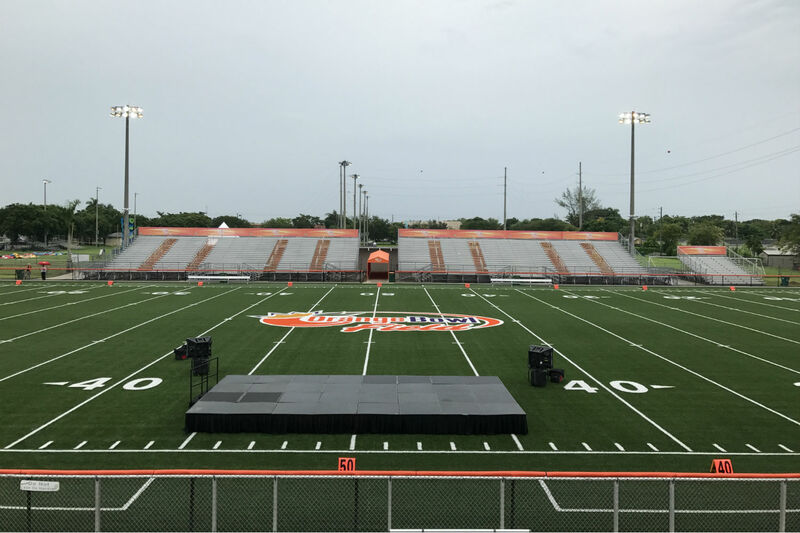 It features a new multi-purpose synthetic turf field designed for football and soccer, a new sound system and a video scoreboard, as well as goalposts, nets, landscaping, and renovated restrooms, locker rooms and press box. 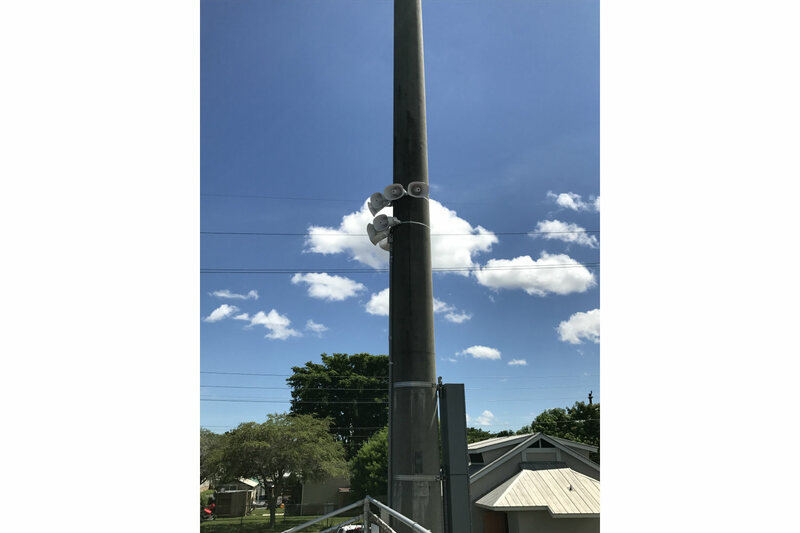 More than 40 JBL speakers were precisely hung and distributed at the light poles with custom-designed anti-hurricane hangers. 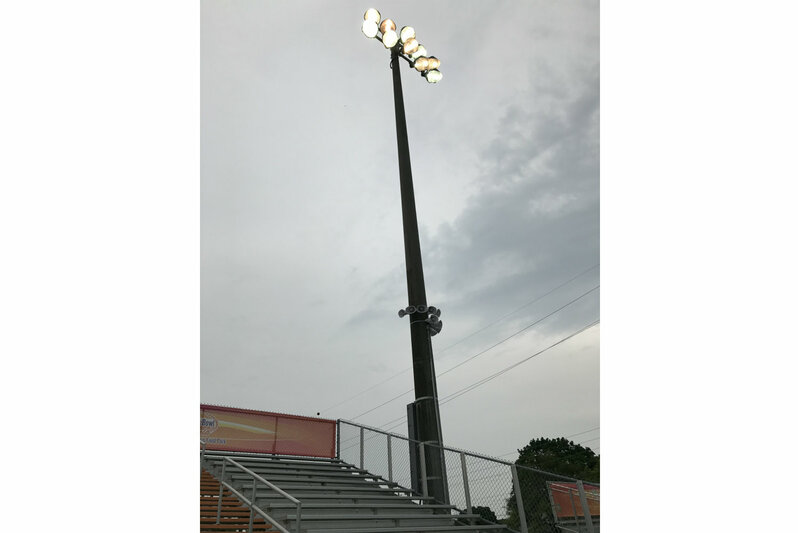 The client required an easy-to-use turnkey system and a significant improvement over the fields original and existing extremely poor speech intelligibility. WSDG partner, Sergio Molho & senior systems designer Federico Petrone worked side by side with the Groovyland team to select and install the optimum system for the field. 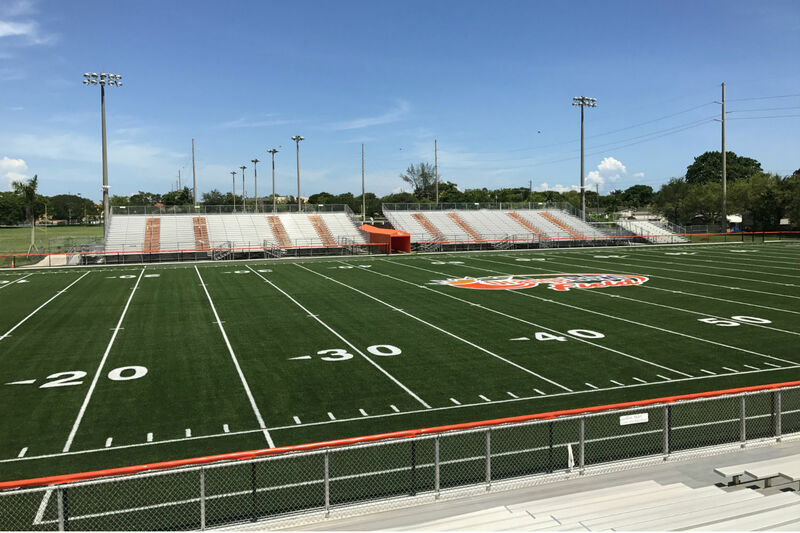 The Orange Bowl Field is higher quality high school football stadium compared to most South Florida schools, and its location makes for easy access for fans of all the schools who compete there. 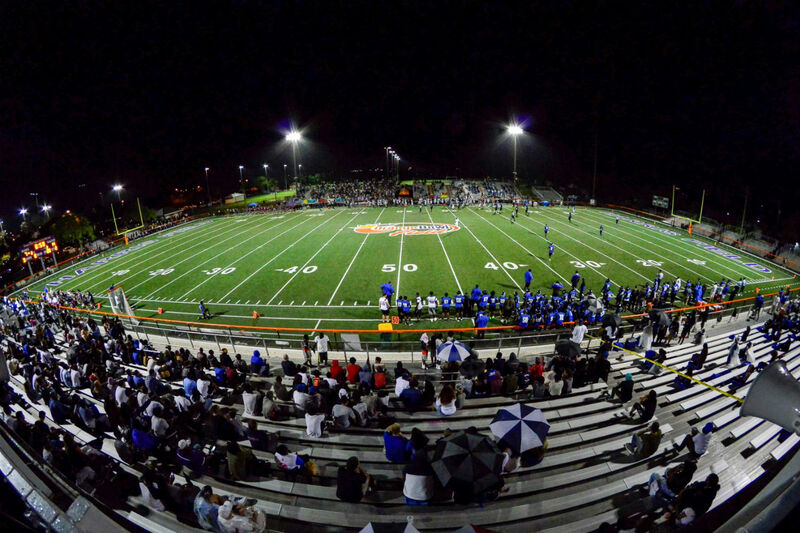 “Friday Night Lights” could have easily been filmed in this nostalgic South Florida locale. Both client and fans have been extremely satisfied with the outcome of the project. The revitalized setting and the vastly improved sound system significantly enhance their enjoyment of the games.